Seat belts saved an estimated 115 lives in Massachusetts in 2016, and 45 more could have been saved if 100 percent of drivers and passengers buckled up, according to data released Wednesday, and published by the SHNS. A new study, conducted by the University of Massachusetts Traffic Safety Research Program on behalf of the Executive Office of Public Safety and Security, found seat belt usage rose nearly 8 percent from 73.7 percent in 2017 to 81.6 percent in 2018, representing the largest year-to-year hike in state history. Lawmakers have for years filed bills to make not wearing a seat belt a primary offense, for which police could stop drivers, but concerns about privacy and the potential for overzealous enforcement or racial profiling have stymied the efforts. 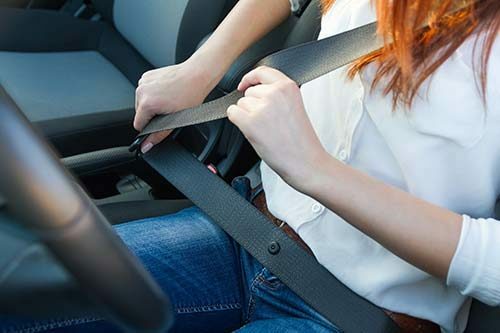 On July 17, the Public Safety and Homeland Security Committee included a Rep. Jeffrey Roy bill for primary seat belt enforcement (H 1304) in a study order, effectively killing it for this session. At an October 2017 hearing on Roy’s bill, Dr. Bella Dinh-Zarr, a public health expert on the National Transportation Safety Board, said 34 states already had primary enforcement of seat belt laws and that the NTSB has recommended primary enforcement since 1995. For the survey, 28,265 drivers and front-seat passengers in 24,145 vehicles were observed at 147 locations across the state. The usage rates varied regionally, ranging from 77.75 percent in Barnstable and Plymouth counties to 85.06 percent in Norfolk and Suffolk counties. Of cities and towns where at least 100 occupants were observed, Northampton had the highest usage rate, with 97.3 percent of the 333 occupants belted. Brockton had the lowest rate, with 50.35 percent of 141 occupants belted. The biggest sample size was in Dartmouth, where 1,166 of the 1,467 occupants observed wore their seat belts, for a rate of 79.48 percent.